Fashion Designer Spotlite: Marishka | Doll-Lite! 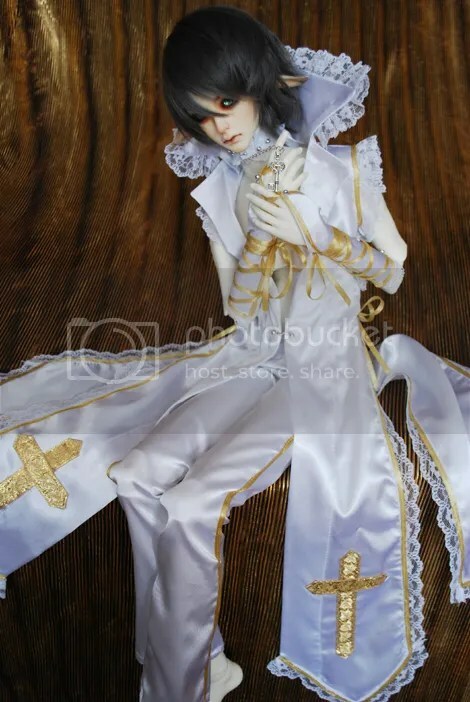 How did you get involved in Asian Ball Jointed Doll clothing Designs? Describe your line and what styles (items) you create? Elegance inspires me greatly, and I believe that nothing can mirror the beauty that only dolls have. I enjoy creating outfits in fantasy style, Medieval gothic, Victorian, Baroque, cosplay. I’m also a fan of Alice in Wonderland – fairy tale motives are one of my absolute favorites. What do you think people know you best for (like a certain style or size or certain look)? People who order my outfits tend to say that I’m kind of a mysterious romantic, haha. But speaking more down to earth, I guess I’m known best for various pieces of clothing designed for boys. I’m sewing also for girls, but since I don’t own any so far it’s a bit harder. And to be frank I like boys a lot more. Art and fashion from different ages, fantasy books and games. Daily clothing as well! What do you want people to think when they look at your Designs? That there’s just a tiny bit of magic in everything Beyond Wonderland creates. I try not to think about future so far ahead, it is best to concentrate on what I can achieve in this very moment. I just hope that the company will blossom and every client will be glad that he/she ordered in Beyond Wonderland! What sorts of things do you enjoy the most about your designs? What are your other favorite clothing brands/designers for dolls? To be frank I don’t know many of them. I used to look at Dollheart site from time to time though, and I have to say that some of their designs are really amazing. What’s the Best thing about designing and selling doll fashions? That you can share your own work with other people. A piece of your imagination is in their homes, with their dolls – that mere thought gives you the motivation to keep going. I’m also extremely proud every time I receive a positive feedback saying that what I did was amazing and that they’ll surely order again – to become acknowledged is the most enjoyable and rewarding thing for an artist. What’s the most difficult thing about designing and selling fashions? To get the right idea of what others have in mind when they order a commission (most of the times it is not a problem, but sometimes it’s just hard to grasp the vision of someone else at first). Also, the lack of proper fabrics in shops is my usual pain and I spent hours looking for right ones, sometimes in few different towns (I’m a perfectionist, which is hard sometimes ;). What type of dolls do you enjoy designing for the most (male/female/brands)? Fantasy, Medieval gothic, Victorian, Baroque, cosplays, fairy tale-like clothes, Alice in Wonderland inspired, etc. But I like daily clothing as well, so I don’t know if I’ve got any favorites. Is there a color palate or patterns that you tend to stick with? Stay away from? Who would you love to collaborate with? Is there a mold, doll, or company that you prefer to work on? Just with boys in general, especially SD and MSD : ) I think I’ll love working with girls as soon as I buy one, too. What is your background? Have you had any special schooling (art school, fashion design, sculpture, painting, fashion, etc)? Who are some of your favorite human designers? Are there types of fabric that you hate or try to avoid? If so which ones? There’re some I dislike, but I have no idea how they’re called in English! What fabrics do you love to use? Accessories? What outfit do you think was your best and worst? Why? Probably everything I created at the very beginning was my worst because of the lack of training. At the moment I try not to make anything ‘worse’ or ‘better’, just equally good – and if it is not equally good, I start from the beginning and make it again and again, until it’s perfect. People who order my outfits deserve no less. When you were a child did you ever work on dolls or create with similar things? If so, what were they? No, I wasn’t too interested in fashion and clothing then – I preferred to draw and paint. However… I loved dolls since I was a kid, that is true. 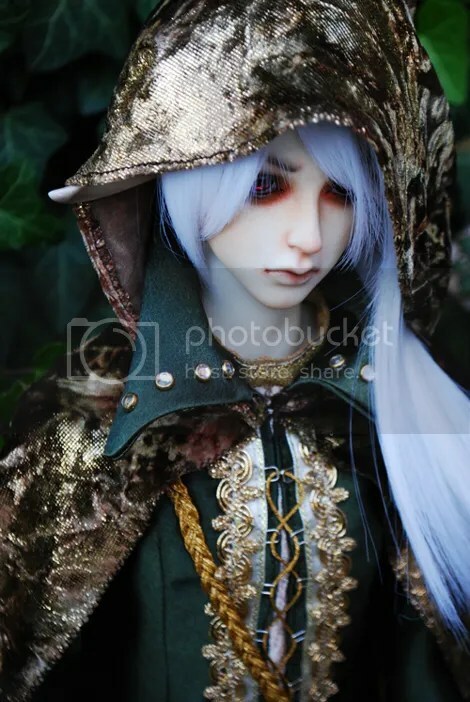 Do you have any other interests that might have helped you in your development of customizing ABJD (like customizing other dolls, action figures, etc)? Please tell us about them. Creating and customizing cosplay outfits, accessories, props and wigs. I also draw and design various things. 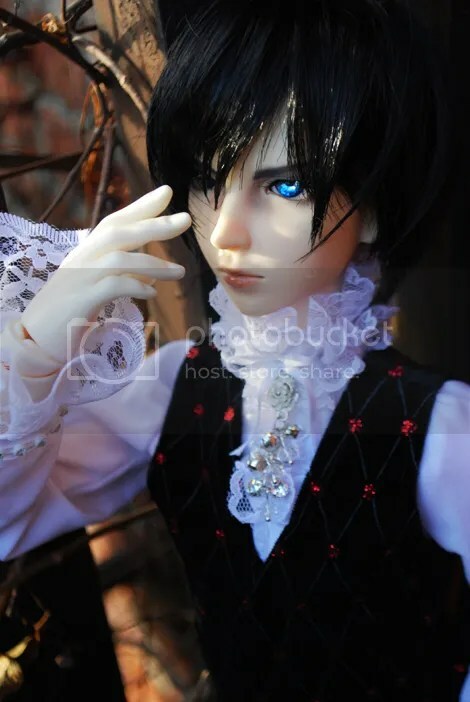 When it comes to BJD dollfie, I also proceed with my own aesthetics, hopefully I’ll start a small make-up studio too, some day. Many, many more. I’m a type of a person who has to try everything. I’m a Japanese philology student and I’m collecting various Japanese or Asian toys, comics, books, etc. Tell us about your own dolls. Do you have any? If so how many and which ones? Has your collection impacted your fashion business and if so in what way? At the moment my dolls are: Soom Amber boy, Soom Winnie Dee Ai, Soom Shale, Migidoll Jina boy, Migidoll Miho. I also ordered Mia from Luts (my first girl !). Why choose clothing design as a form of Self Expression? It is just a matter of interest , I think.